Here’s the construction notice from the Expo Line Construction Authority, the agency building the six-mile project that will extend tracks from Culver City to downtown Santa Monica with seven new stations. 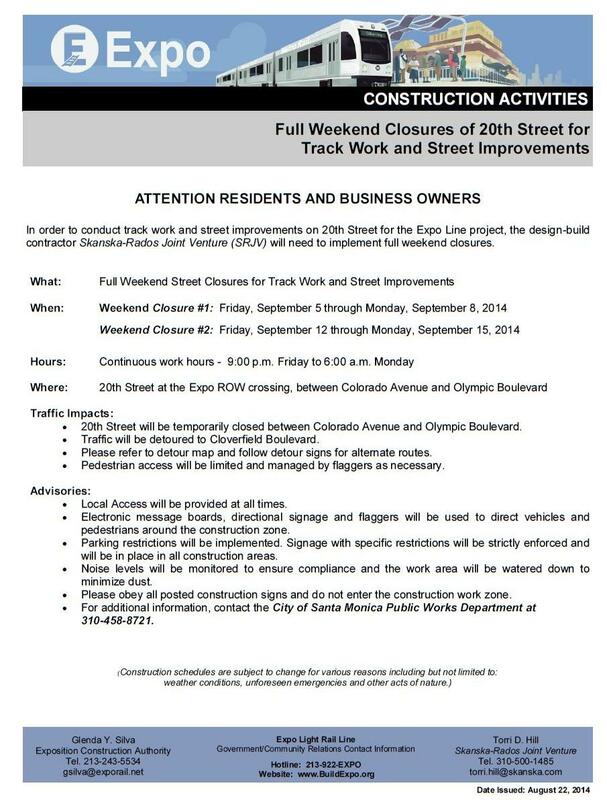 A segment of 20th Street will be closed this weekend and the next for track work. The project is funded mostly by Measure R, the half-cent sales tax increase approved by Los Angeles County voters in 2008. It is currently forecast to open in early 2016.